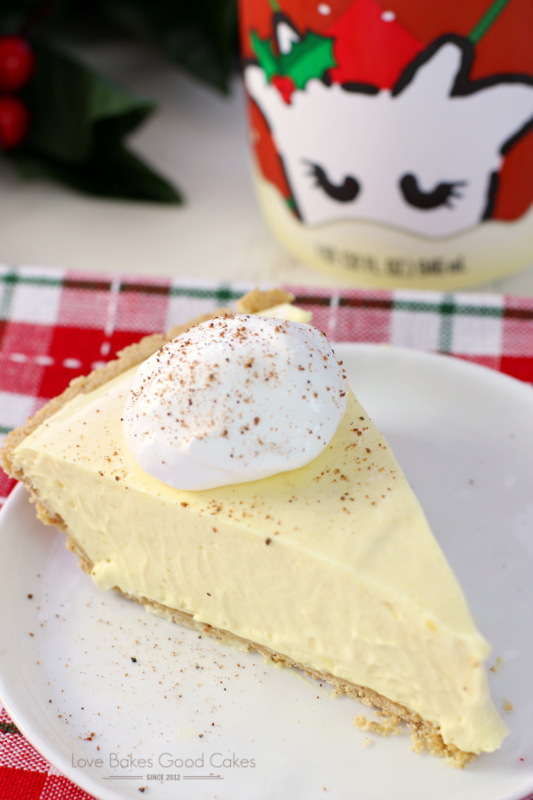 Your holiday won’t be complete without this No-Bake Eggnog Pie! It’ll become a family-favorite! Can I just say how much I love the flavors of this time of year?! Eggnog, peppermint, gingerbread … Even though they’re meant for the holiday season, I really think they should be year-round flavors, don’t you?! While doing my grocery shopping last week, I noticed Shamrock Farms’ Eggnog was out! I try to keep an eye out for it this time of the year because it’s the best! 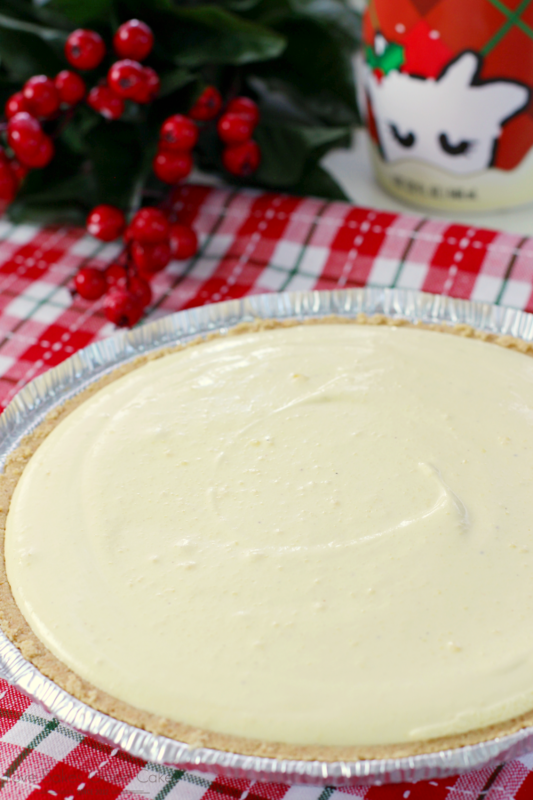 I had to pick up two containers … one to drink and the other to make this pie! 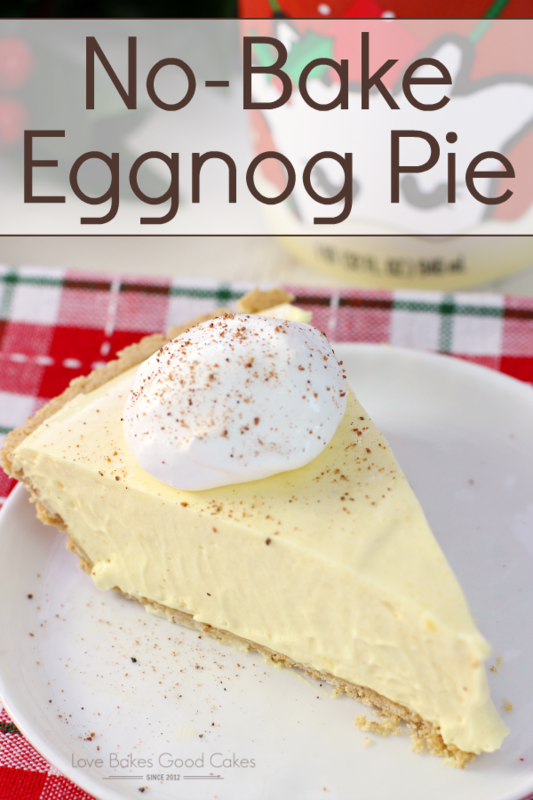 I have been working on our Thanksgiving menu and decided that I want to try a No-Bake Eggnog Pie this year. The test run was so good that I had to make it again to share with y’all and I may just make it another time or two before Thanksgiving! I think I need more eggnog! I read that it can be frozen for up to 6 months …. so I may need to get a 6-month supply! I love knowing exactly where my milk comes from, and Shamrock Farms’ real, working dairy farm is open to the public for tours! So you can see firsthand their state-of-the-art facilities and learn how they keep their cows happy and healthy. Every Shamrock Farms product begins with pure, wholesome, nutritious milk with no added hormones. All of Shamrock Farms milk goes through rigorous purity testing, and is cold packaged and shipped from their Phoenix manufacturing facility to arrive fresh, fast and delicious. I also love supporting a company as committed to the community as Shamrock Farms. This holiday season, they’ve selected me as one of their partners helping get milk to families in need through the Great American Milk Drive! Simply share this post to help raise awareness and Shamrock Farms will donate a gallon of milk to our local Feeding America Food Bank, St. Mary’s Food Bank Alliance (up to 1,000 gallons from among their awareness partners). To learn more about hunger in Arizona, visit firstfoodbank.org. To learn more about the Great American Milk Drive, visit shamrockfarms.net. If you’re looking for a fun and festive family event, consider Joy to the Herd Dec. 3 & 4. Special features include 15 tons of snow shipped directly from the North Pole, holiday crafts, face painting and more. Of course, no holiday celebration would be complete without a special visit with Santa and Shamrock Farms own jolly spokescow – Roxie! You can find more information at Shamrock Farms. In a large mixing bowl with a hand-held mixer, beat pudding mix with eggnog for 2 minutes. The pudding mixture should thicken slightly. Gently fold in 1 cup whipped topping until just combined. Spoon mixture into pie crust. To serve, place a dollop of whipped topping and a sprinkle of nutmeg on each serving. What an easy pie. And perfect for the season! It is a bit hard to believe it is egg nog season already! How easy! And I love eggnog. Thanks for the recipe. I will be trying this for Christmas…or..maybe sooner. Loving this pie! Yum! Sharing on my FB page later tonight! would this be good with a whisky caramel sauce? or would that be too much? Just made this and it's in the fridge now for Christmas dinner tomorrow. I licked the spoon and it was so good! 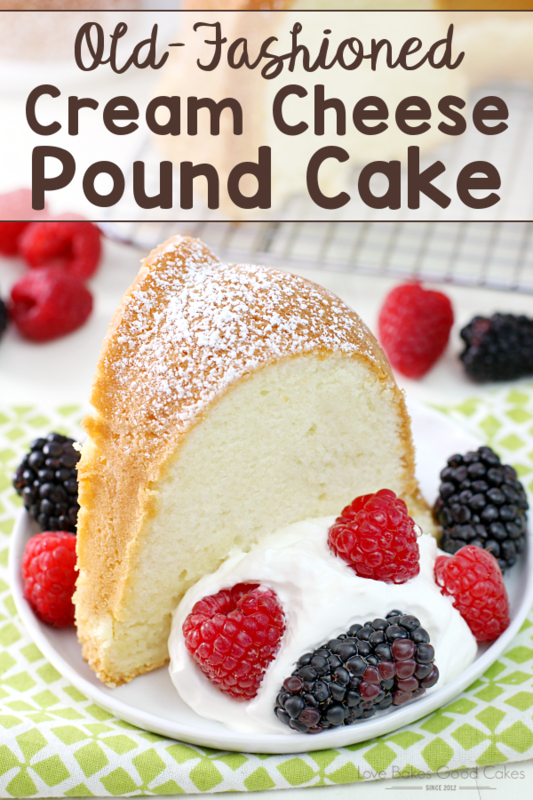 Thanks for sharing this recipe, it's so easy!! 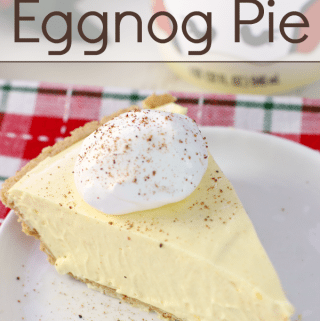 On the vanilla pudding, do youh make it as the package says and then add the egg nog or just add the package to the egg nog? It’s been 4 or 5 hours and mine isn’t setting m. Thanks! You add the eggnog to the pudding in place of the milk. I hope that helps. Can you use sugar free pudding instead? 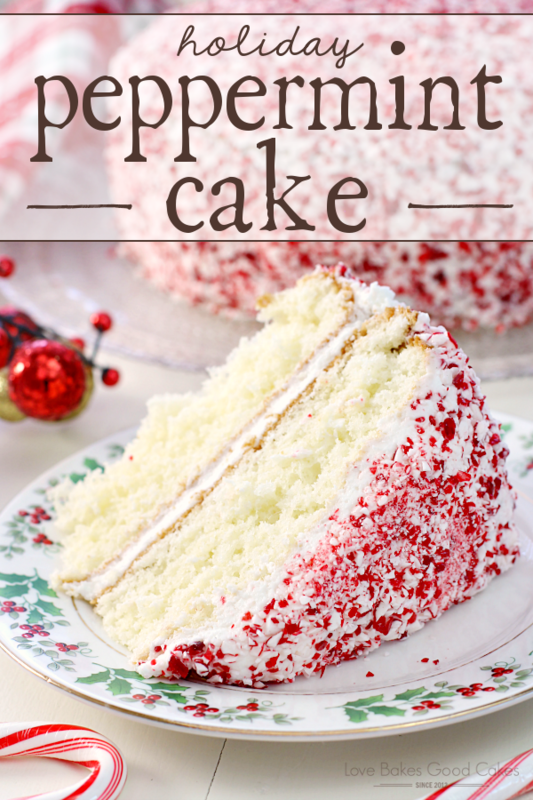 Hey Jamie, I link this no-bake version to my baked version in my post going live on 12-10. Please let me know if that is no okay and I’ll remove it. Was so excited to make this pie for one of my Christmas parties. Licked the spoon afterwards and it was delish! The pie never set, even after placing in the freezer late last night. Woke up this morning to the realization that the alcohol in my eggnog (yes I only had spiked eggnog) is what must have kept it from setting. Oh well, will enjoy spooning out sections and eating this tasty non pie. 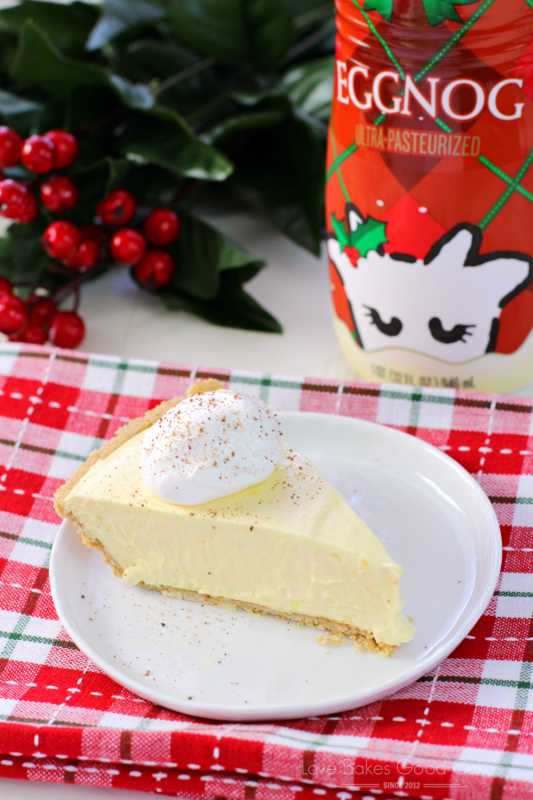 I plan to use your recipe in recreating a favorite holiday dessert from my mom’s childhood–charlotte rousse. Your photos look great. Do the slices really stand nice and firm when cut as shown in your photos? The charlotte is made in a springform pan. You stand soft lady finger cookies around the edge and then fill the center with egg nog mousse (I’m going to substitute your pie recipe). Ideally, you remove the spring form pan, and the dessert should stand nicely on its own, with the lady fingers around the outer edge? Do you think this pie is firm enough to do that once set? 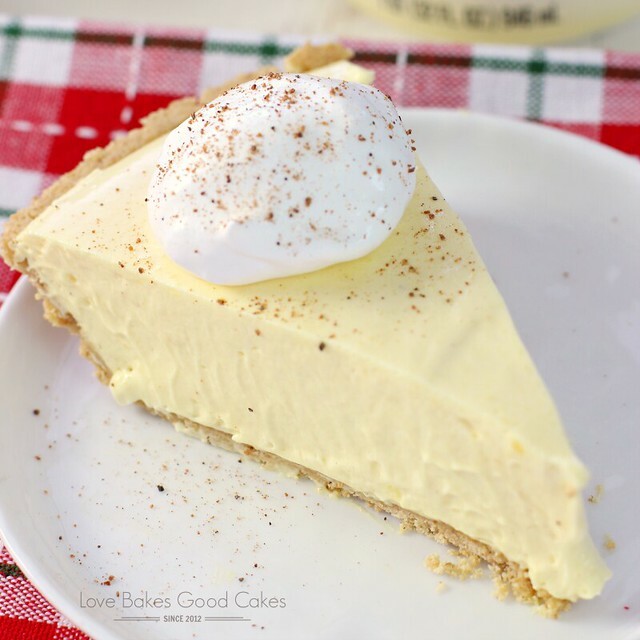 Can this pie be made ahead of time and frozen? what do you mean by frozen whipped topping? just cool whip?